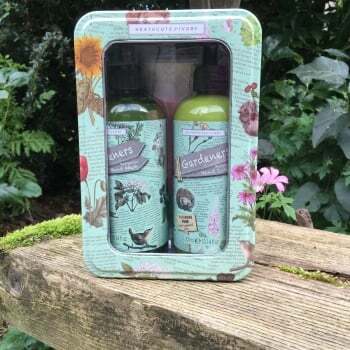 This Heathcote & Ivory gardener's hand care gift set from Ruddick Garden Gifts would make a fab present for any gardeners out there. The set comprises of two 300ml bottles, one of exfoliating hand wash and one of softening hand lotion. 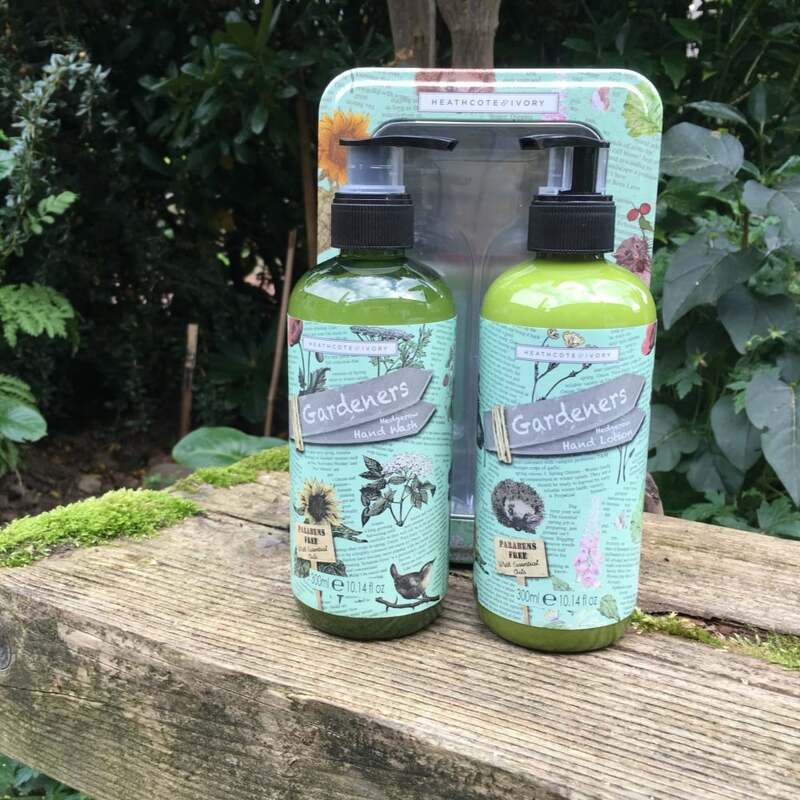 Both are blended with cocoa butter, almond oil and evening primrose oil to hydrate and soothe green fingers after gardening. 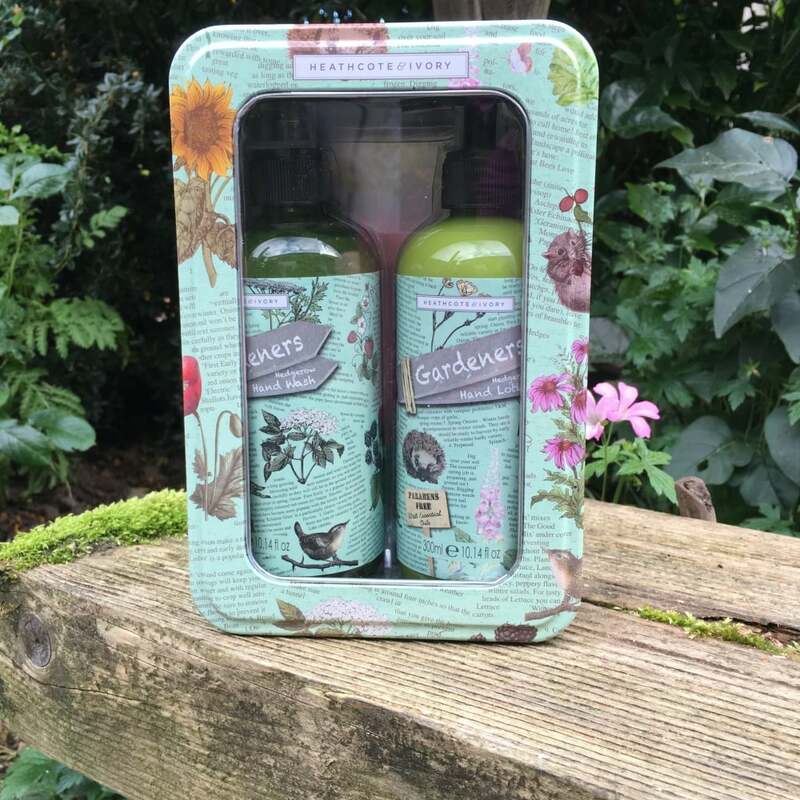 Both are also formulated with extracts of blackberry, rhubarb and elderberry and fragranced with new herby notes and a dash of rhubarb. The embossed metal tin with hinged lid would be great for using in the potting shed afterwards for little odds and ends.